It doesn’t help when Secretary of Education, Arne Duncan, puts his foot in his mouth and offends mothers across the U.S. The hysteria surrounding the Common Core is exasperating, especially if you’re an elementary principal who is already knee-deep in rolling out the standards. As a veteran educator, I am worried that the polarized discussions on the Common Core are clouding the issues. Teaching continues all across the United States every day. The debate and gnashing of teeth over the CCSS hasn’t stopped teachers from doing their jobs and it certainly isn’t keeping students from learning. So what’s all the fuss then? The fuss is really all about testing, not teaching or learning. While there has been, and will continue to be, discussion on the content of the standards, most of the heated discussions going on now are about testing. I am hopeful that parents, teachers, and politicians can separate their concerns enough to realize that, right now, it really is about testing. Demonizing the standards is just a way to muddy the conversation. Now, if you agree that testing is the real problem with the CCSS, then there is an easy solution to that…stop testing. Is that too radical? I don’t think so. I don’t consider myself an educational radical. I’m just a simple principal who thinks teachers and students deserve more time to figure out the CCSS before they’re held accountable for them. Imagine how quickly that solution would reduce the stress being placed on students and teachers. The headline I am waiting to read is: “CCSS Testing Moratorium Announced Until 2016.” That would give states the time they need to train teachers and prepare students. Creativity in education is dying a slow and painful death. From the signing of NCLB, to the carrot and stick approach of Race to the Top, there are numerous reasons for the grave state of creativity and innovation in American schools. Our education system is far too politicized. Who is to blame for the homogenization of the American school system? The hard answer is that we are all to blame. Railing against the system is a futile pursuit for those who work closest with children. It is a poor use of our time and energy. If teachers and parents are waiting for the federal and state government to get education right, they will be waiting a long time. Few state and federal initiatives have ever led to significant gains in student achievement. While the Civil Rights Act of 1972, the ESEA of 1975, Title IX, and the Bilingual Education Act improved educational access for under-represented groups, they did not lead to significant increases in academic achievement. The current drama regarding the Common Core is a colossal waste of time for those on both sides of the argument. Standards are a starting point for teaching. They provide direction and structure, but they are not the bar. When teachers focus solely on the standards, they leave something very important out of the equation, the students. This is where creativity is lost. Teachers must have the freedom to teach based on the needs of the students in front of them, not on a preconceived notion of where students should be. So, what’s the solution for bringing creativity and innovation back to the classroom? The solution is as simple as it is complex. Let our teachers teach. Train them, support them, pay them well, and let them do their job. The federal and state government needs to step back and out of a profession they are mostly untrained for. What would happen if all states were funded fairly using an accepted formula that is not tied to incentives and compliance? What would happen if states and local education agencies had the discretion to use funds as they see fit? Teacher creativity and innovation would likely explode and rigor in the classroom could truly be raised. An educational revolution is unnecessary. Schools need not rebel against the implementation of the Common Core State Standards. In fact, their response should be just the opposite. Teachers and principals should become experts on the new standards. Schools should embrace the standards with a critical eye and make adjustments based on their knowledge of good instruction. With a strong knowledge of the standards, schools can approach instruction through multi-disciplinary, cross-curricular means. Creativity and innovation can be returned to the classroom by teachers who are able to provide meaningful learning that is connected to real-life applications. The possibilities are endless when teachers are set free to use their knowledge and experience. I recently attended EdCampBmore at Johns Hopkins University in Baltimore, Maryland. This was a wonderfully organized and attended event. There were educators from Maryland, Virginia, Pennsylvania, New Jersey and even New Hampshire in attendance. These committed professionals gave up a Saturday to share their expertise with like-minded peers. Baltimore’s edcamp was organized by Shannon Montague (@montysays), Molly Smith(@historyfriend), Jenna Shaw (@teachbaltshaw), Jen Filosa (@jafilosa), Chris Shriver (@ccshriver), and Margaret Roth (@teachingdaisy). These amazing ladies pulled together the resources to provide an exceptional professional development experience for those in attendance. I had trouble getting to sleep that evening because it occurred to me that the edcamp philosophy could easily be translated to school-level professional development. As a firm believer in the collective intelligence of schools, it concerns me that we don’t always tap into the knowledge of the teachers in our buildings. In fact, one of the most popular forms of PD over the past 30 years has been the use of outside experts to train teachers in the pedagogy du jour. The edcamp philosophy eschews this approach in favor of professional development that is created by, and shared with, those working in the field. Our teachers have interests and strengths that can be enhanced when they are given opportunities to discuss their practices. So much of the time that we give teachers for planning is taken by the functional aspects of teaching. Very little of it is spent in fostering creativity and improving the profession. 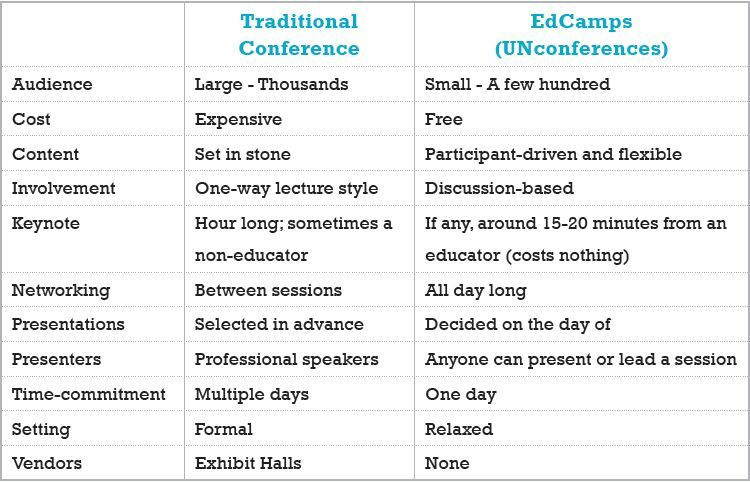 The edcamp approach to professional development could be a great way to inject excitement back into the profession. How much stronger could our schools become if the teachers in the building were given the chance to share their knowledge with their peers in deep and meaningful ways? I don’t know the exact answer, but I plan to find out. Don’t tell my teachers, but we’re about to plan our first school-based edcamp. Now I’ll never get to sleep! Here are a few takeaways from Shifting the Monkey. While the book is not written specifically for educators, it has great value for anyone seeking to cultivate and reward organizational excellence. This should be enough to get you started, buy the book to get the full picture.